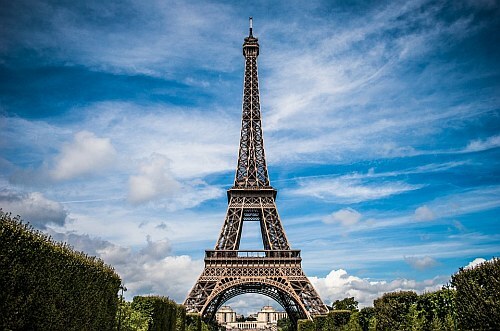 Similar to their other price drops to European cities, the Star Alliance has now dropped the price of their flights from Seattle to Paris and Amsterdam down to between $470 and $503 CAD roundtrip including taxes for travel in the peak summer season (August 2018). 2. Click on the departure date box to open up the calendar view and look for the cheaper date combinations. Look for the dates that are in the $500s roundtrip. TIP #2: Once your Momondo search completes, try sliding the Max Flight Duration slider on the left down to around 40, to filter out really long flights. You can also try clicking on '1 stop only' on the left hand side. IMPORTANT: Even though Momondo is showing you the estimated price in $CAD, many of the booking sites showing these fares are in $USD (including TravelMerry) - so watch out for that. seattle, sea, air canada, europe, western europe, amsterdam, ams, netherlands, paris, france, cdg, lufthansa, swiss, united airlines and ory. 3 Responses to "Seattle to Paris or Amsterdam - $470 to $503 CAD roundtrip including taxes | August 2018 travel"
The only travel site to book via Momondo is TravelMerry, has anyone booked with them before? It looks like these have disappeared altogether, including from Google Flights. And it's not just Paris and Amsterdam, it looks like all of the Seattle flights to Europe in August are back up.